ISLAMABAD: Prime Minister Imran Khan on Friday said his government would review all international agreements it inherited from the last Pakistan Muslim League (PML-N) government and asked critics to bear with him for three months for performance. He stated this during a meeting with a select group of anchorpersons at the Prime Minister House. The issues that came under discussion were the accountability of ruling Pakistan Tehreek-i-Insaf (PTI) leaders, use of official helicopters by the family of Punjab Chief Minister Usman Buzdar, a verbal clash between Khawar Maneka, ex-husband of the first lady, and Pakpattan District Police Office (DPO) Rizwan Gondal, remarks by Punjab Information Minister Fayyazul Hassan Chohan against a film star, alleged misuse of Khyber Pakhtunkhwa government’s official chopper by PM Khan, etc. Since no official statement on the meeting was issued, its details were shared by the participants. The prime minister was quoted as saying: “Give our government three months before criticising its performance.” He claimed that in three months, there would be a marked difference in the way the country was currently run. Asked if his government would wrap up all alleged controversial international agreements inked by the last government, the prime minister said he would review all such accords made by his predecessors. Information Minister Fawad Chaudhry later told Dawn that Imran Khan had not said that he would abolish the international agreements but review all of them. The prime minister informed the media persons about his eight-hour meeting with the military top brass at the General Headquarters in Rawalpindi and said Chief of the Army Staff Gen Qamar Javed Bajwa and the entire military establishment had assured him of their full support for the PTI-led government at the Centre. Mr Khan also briefed the anchorpersons on his recent meeting with National Accountability Bureau chairman retired Justice Javed Iqbal and said the government wanted across-the-board accountability. 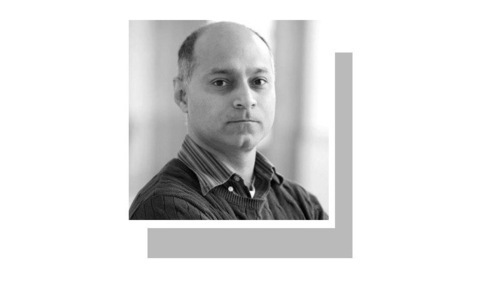 Mr Khan, who is also facing a NAB case relating to misuse of the KP government’s helicopter, said he had asked the NAB chief to continue the indiscriminate accountability process in the country. About the cases of other PTI leaders, the premier said he was not responsible for the past of his party’s leaders and ministers and promised that he would not spare anyone of them if they were found involved in corruption. Responding to a question about the use of official chopper for travelling from the PM House to his residence at Banigala, Mr Khan said he used the helicopter to avoid causing traffic jams because of official and security protocol of the prime minister. He reiterated that he would turn the palatial PM House into an educational institution, saying the government’s austerity campaign was under way. About the transfer of the Pakpattan DPO after the altercation with Khawar Maneka, the prime minister backed his wife’s former husband and said: “The police officers trained guns at Khawar Maneka and his family.” He said he was satisfied with the Supreme Court’s notice taken on the incident. Fawad Chaudhry told media persons at a separate event that the army chief had assured the prime minister that like all other institutions the army was also subservient to the government and bound to implement all decisions to be taken by the government. The government and the army were on the same page, he added. According to him, Imran Khan said during the meeting at the GHQ that the government alone could not meet the gigantic challenges and needed a joint strategy and efforts of all institutions to cope up with these. Defending the prime minister in the NAB case of misuse of KP government’s official helicopter, Fawad Chaudhry said Mr Khan had not misused the official chopper, but former chief minister Pervez Khattak. “Not Imran Khan but Mr Khattak was accused of misusing the official chopper. However, Mr Khattak was of the view that he used the helicopter for inspecting provincial government’s projects,” he asserted. He said former prime minister Nawaz Sharif and his children had also misused PM House’s two aircraft and Punjab government’s helicopters for which a notice would soon be served on them. “Hassan, Hussain and Maryam Nawaz used official helicopter of the Punjab government that caused a loss of around Rs24 million. We will serve them a notice to recover the money,” he maintained. The information minister said the family of former Punjab chief minister Shahbaz Sharif had also used official helicopters for personal visits and the expenses borne by the state on these trips were higher than the losses caused by the Sharif family. 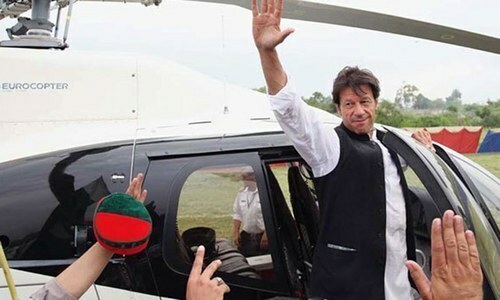 He defended Imran Khan for using the official chopper to travel between the PM House and his residence at Banigala and said it cost Rs55 per nautical mile. He opened Google in his mobile phone and showed reporters the estimates regarding the traveling cost by helicopter. “However, these expenses exclude pilot’s fee and maintenance cost of the chopper,” he said. Prime Minister Imran Khan held separate meetings with Sindh Governor Imran Ismail and a delegation of the Muttahida Qaumi Movement (MQM) and discussed with them issues facing the province and Karachi. The prime minister reiterated his commitment to ridding the citizens of Karachi of multiple problems such as water scarcity and prolonged loadshedding and poor sanitation. The MQM delegation included federal ministers Khalid Maqbool Siddiqui and Farogh Naseem and Karachi Mayor Waseem Akhtar. Mr Khan said Karachi had played a vital role in the progress of the country but it was unfortunate that many areas of the country’s commercial hub had no basic civic facilities. Sorry you don’t get that leadway considering you worked against the interests of the country in the previous Government rather than play constructive opposition role. Now you are answerable for your corruption. Yes, we read that. Only little children want instant gratification. No way. First restore ads to Print and Electronic media and send journalists with families to attend general assemly session. Very existanxe of TV channels in danger. This man is the arvind kejriwal of pakistan, just talks. A positive initiative by the PM that should be made a routine. Running government and grocery store are two different jobs. IK wanted to be PM and he is but required experience is missing except old faces, who have not good track. Why asking for 3 months? IK did the same during NS time. As you sow so shall you reap! Sir no word on missing persons, forced disappearances and extra judicial killing by LEA. The most important issue in our lives right now seems to be the misuse of official helicopter. Not balance of payments, trade deficits, internal debt etc, etc. I would have thought that was common sense. Anyone not playing ball should be side lined after all Rome was not built in a day. They have been vocal critics of the previous governments and repeatedly claimed that from day one they would bring change in Pakistan. Now they want some time to decide on the plan of action. In the meantime, the government machinery is focused on auctioning cars. I thought Pakistan had far more pressing and challenging problems that needed immediate solution. Fawad Choudhry is still defending use of helicopter by PM. Everyday a helicopter along with Standby helicopter is flown from helicopter base to PM house for IK 3 minutes journey to Banigala and back.These helicopters return to base after completing their task. The total use of helicopter for PM 3 minutes flight runs in to hours. Beside fuel, there are other numerous expenses associated with helicopter flights. I hope all these expenses are catered for in austerity drive. pti and imran needs much more time then he is asking . the things are so bad it will take much time to improve . we trust party and leader but more time and support is needed . a year, sir. fixing 70 years of rot in 90 days is unrealistic. @Imtiaz cars can be sold while other changes occur. foolish comment. Fair enough. If we can give Corruption Mafias PPP and PML-N 10 years to rule. Give IK 3 months but accountability should be across the board. No individual or institution should be above the law. That is the only way we can rise as a nation. Prayers for your success IK. Long Live Pakistan. 3 months enough time to silence any form of possible opposition in the future. Change takes time. Long-standing attitudes and practices cannot be altered overnight. It will probably take longer than 3 months. The important thing is that the people can see whether change has started, and if is going in the right direction. Will three months be enough ? Imran Khan should be more realistic in making promises along with time period for their implementation otherwise he will face lot of criticism from people and opposition as well. He could have asked for at least one year for assessment of promised made by him. 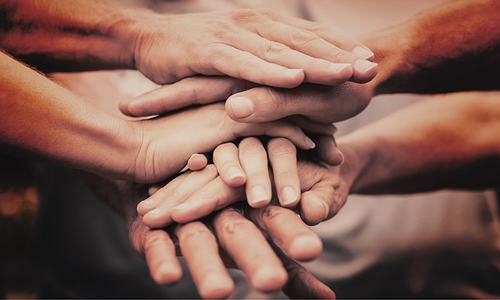 @Imtiaz Pressing and challenging problems rarely have "immediate" solutions. Effective solutions need to to be well thought out, involve consultation with various stakeholders, and be well planned. When you bring austerity drama by auctioning Luxury Cars and introduce Helicopters in their place, media has all the right to question your policy and wisdom. After all media has an important role to play in construction of Naya Pakistan. PM Imran Khan has to fix all the loopholes, a hard task job, where his predecessors have done wrong, such as corruption, nepotism etc. It will take some time to see that changes are going in the right direction. But at least it would be a start. 3 months to start seeing changes. No way you can see everything change so quickly, as so many of the public think. 70 years of mess can not be fixed in 30 days, not even if Imran had a MAGIC lamp. Everything need fixing. Why ? The media should keep on checking and reporting, it's their duty. Meanwhile, your government should do theirs Mr. PM. There is no issue of 'time'. Next, like Trump, you will start to attack media as 'enemies of people' for criticizing anything. Be careful. Sometimes, he acts like a spoiled brat who wants things his way. PM your accountibility started the day you sworn in. So that you can completely destroy whatever left of Pakistan. Some positives from the meetings. Change will take time and will become evident as well. The rot runs deep and is strong. Media groups are sad,no more free trip to uk or USA,and France,no more $$$ for shopping! If there are ethical people's in jouralisms, then do the story why pak has 50% children with stunned growth! Why there are children in jails! Why these rich ministers in rural Punjab,Sind,kpk,have jails in there houses! Exposed,these horribles realities,here your chance to do good work! PM Imran Khan must 'stop' PTI politicians from appearing on TV talk shows for next six months or so, as they need to be totally focused on their work. These TV dramas / shows are distraction and waste of valuable time. Also TV stations must stop inviting past politicians who 'failed' to deliver in the last 10 years of PPP and PML governments. TV stations must raise their own standards of reporting on domestic and international matters. One out of the three from MQM representative the mayor, is controversial an has been alleged to be involved in corruption. @Aamir He is asking the media to hold off not the opposition, he opposed the last government in the capacity of the opposition. OK you are given, now tell us what timeframe we should fix for you to deliver?